To quote the film, In Bruges, “It’s a fairytale town.” And it’s true. The Western Flemish capital, known natively as Brugge, is a truly amazing city. Bruges is beautiful. Bruges is magical. Bruges is lovely. And Bruges is delicious, with perhaps the best beer, chocolate, waffles, and chips (french fries) you can get on the planet (as all of Belgium is famous for). The whole city is walkable in roughly 30 minutes, but there is oh-so-much to see in that 30 minutes. Bruges remains to this day a truly medieval town, with architecture dating back to the 10th century and earlier, and nearly all of its medieval architecture from the following several centuries is still standing and intact today. Going to Bruges is like going back in time, and I surely recommend the trip. 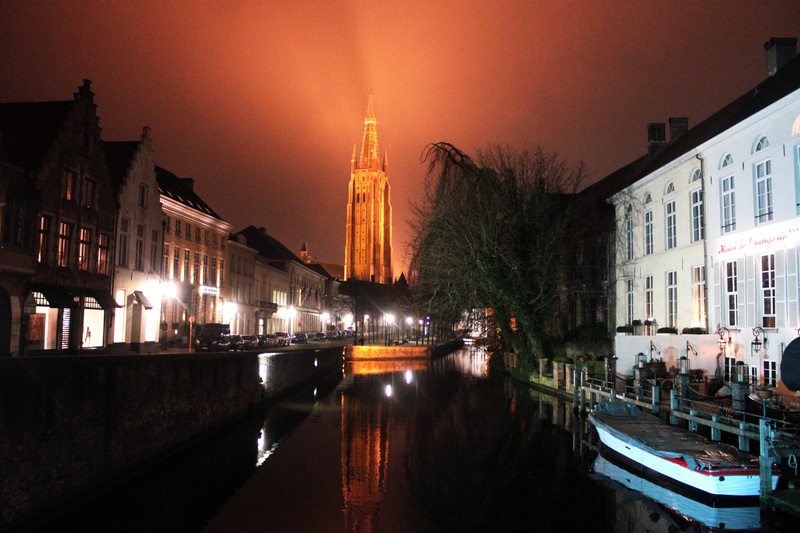 This entry was posted in Belgium, Bruges and tagged belgium, bruges, brugge, europe, travel, west flanders by Babak Haghighi. Bookmark the permalink.